Smartphones have become ubiquitous in our culture. There's no denying the influence of the smartphone on the rise of social media, changes in commercial marketing and even the church. Rarely a week goes by without me receiving an email, message or tweet from a pastor or church leader asking about church apps, social media strategies, or mobile website functionality. "Don't leave home without it" applies more to our smartphones than it ever did to American Express. And it applies when people are headed into their weekly worship service as well. Before I get to the specifics of the post, allow me a couple of caveats. I'm not saying people should be piddling away on their smartphones in the worship service. If you can't have your phone out and refrain from playing games or catching up on email during a worship service, then keep it put away. The same would go for tablets. But as you will see below, these four reasons all involve using your smartphone to share or enhance what's going on in the worship service. 1. Using a Bible app. This may be the most basic use of a smartphone while in a worship service. While many still prefer a hard copy of God's Word (myself included), a digital app version is quite convenient. 2. Taking notes. Many, if not all, of the leading Bible apps allow for note taking. This is helpful if you like to keep digital records of your sermon notes. Evernote, the native Notes app, Pages, or even Word can all be used to catalog sermon notes as well. For some, digital sermon notes are actually preferred to handwritten ones simply because they can be searched and indexed so much easier. 3. Tweeting quotes. This is the main way I use my smartphone while in a worship service. This is similar to taking notes, but you share the quote instead of keeping it to yourself. One piece of advice on this particular smartphone use: ensure that you use an app like Buffer or Hootsuite that doesn't automatically pull up your social media feed. You're less likely to be distracted by what's in your Twitter feed if all you see is an input box. I only use Buffer for sending out sermon quotes for this particular reason. 4. Online or text giving. As online giving and text giving become more prevalent, smartphone usage for them will only increase. If you're promoting online giving or text giving during the offertory, it only makes sense that people would use their smartphones to participate in worship through giving. 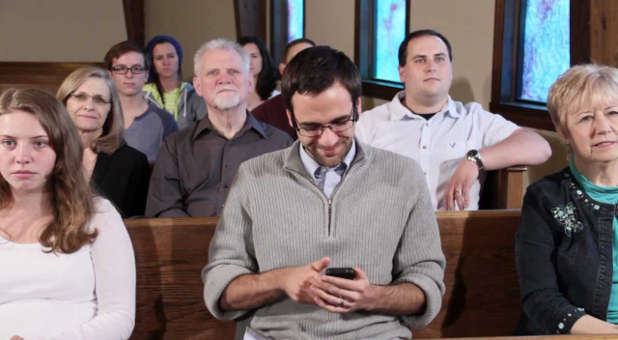 Two final reminders: Pastor, when you see someone on his/her phone during worship, it's not always a bad thing. Worshipper, if you're on your phone during a worship service, make sure what you are doing is related to what's going on in the service. 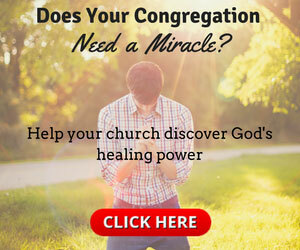 Do you use your smartphone during the worship service? If so, do you use it for anything else?